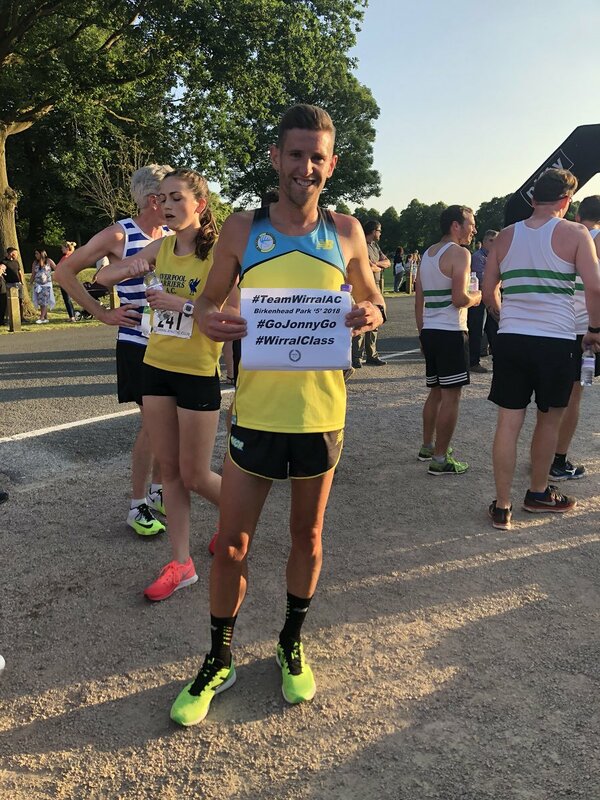 Team New Balance Manchester athlete Jonny Mellor (Steve Vernon) time-trialed himself into a UK-leading 24:01 over a fast Birkenhead Park 5 mile course in a superb evening of racing organised by #TeamWirralAC in which many of the numbers associated with this event, now approaching 50 years old, were revised. On Running ambassador and V40 Kirsty Longley (Liverpool Pembroke Sefton, Mark Bleasdale) moved herself to 4th overall nationally with an outstanding 27:46, demolishing the course record in the process. 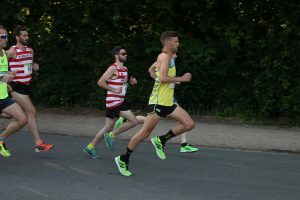 The race itself saw 128 women finishers, nearly double the previous all time high of 66 set 25 years ago, within a record field of 347 finishers overall. While there is clearly still work to do, it was encouraging progress and hopefully can be built on in future editions. The main prizes were again generously supported by local running store The Runner’s Hub with spot prizes provided by Ron Hill, while Urenco continued their long term sponsorship of the race. 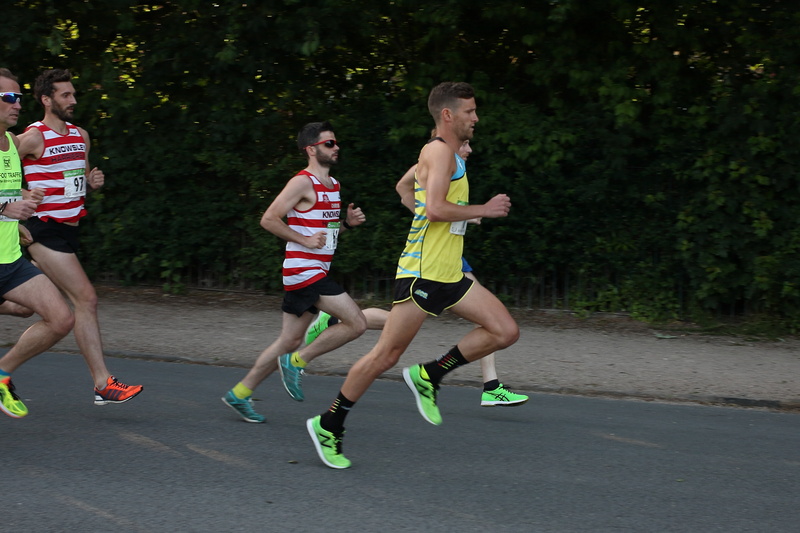 The ‘5’ was preceded by a 1 mile fun run in aid of Bebington based charity Shiny Stone which attracted nearly 100 participants in itself. 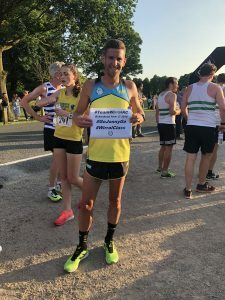 Wirral AC are indebted to the huge support received from clubs and athletes around Merseyside and would like to give a special mention to the team at Birkenhead parkrun for helping create the welcoming environment and culture which helps many people turn out and run. 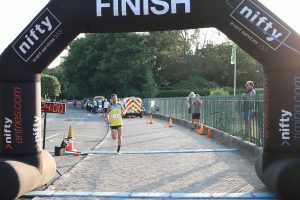 Big thanks to all those who turned out to support, marshal and help raise money for Shiny Stone charity in the fun run. It was a blast. See you next year! A more comprehensive report will appear in due course. 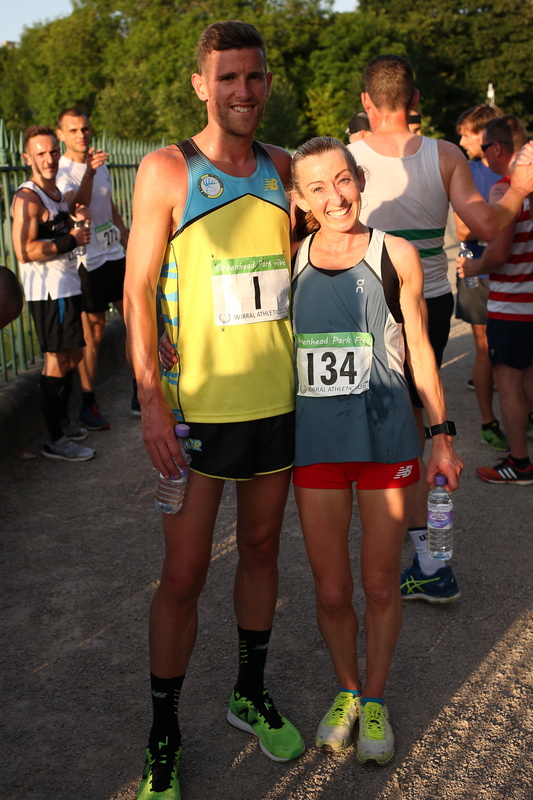 No Replies to "Mellor takes UK lead at #TeamWirralAC Park '5' as records tumble"